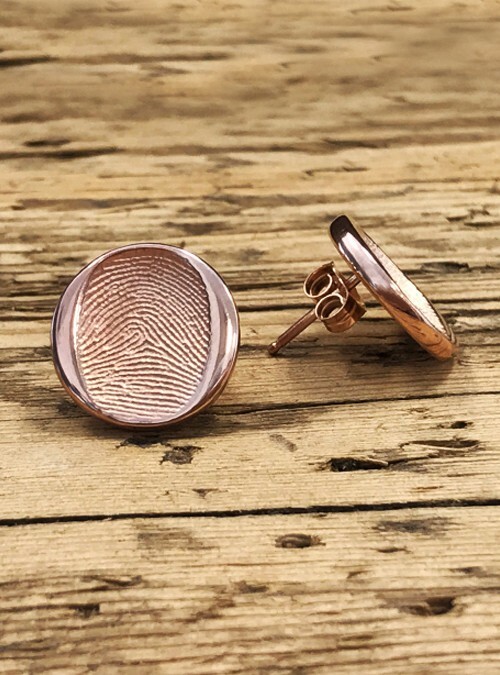 Earrings customized with loved ones’ fingerprints. Use the same fingerprint on both or a different one on each earring. The most personalized earrings on the market! 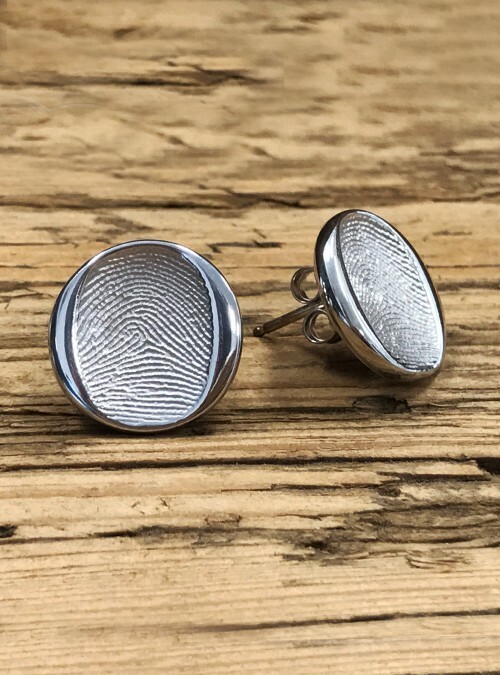 Customize earrings with the fingerprints of one or two of your favorite people in sterling silver with a polished finish. 2. Use materials you have on hand to create a series of ink fingerprints. Take a picture of the page of prints, or scan the page at high resolution (600dpi) and email it to us.